Things that made me smile! One of the great pleasures of writing this blog is that I am constantly coming across things that make me smile. Since I am still in a lighthearted Christmas mood, I thought I would share some of them with you and hope you find them amusing too. 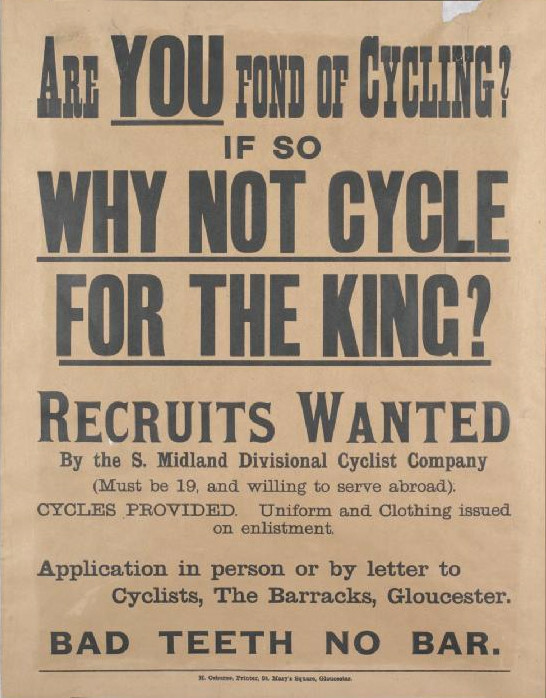 I wrote about the First World War Cyclist battalions in an earlier blog and then came across this recruitment poster for the S. Midland Divisional Cyclist Company. Dental hygiene was poor at the time and so it was obviously necessary to stress that you didn’t need a perfect set of gnashers to be accepted by the Company. In Postman’s Park in the City is the Memorial to Heroic Self Sacrifice consisting of 54 plaques commemorating the bravery of ‘humble’ individuals who gave their lives to save others. 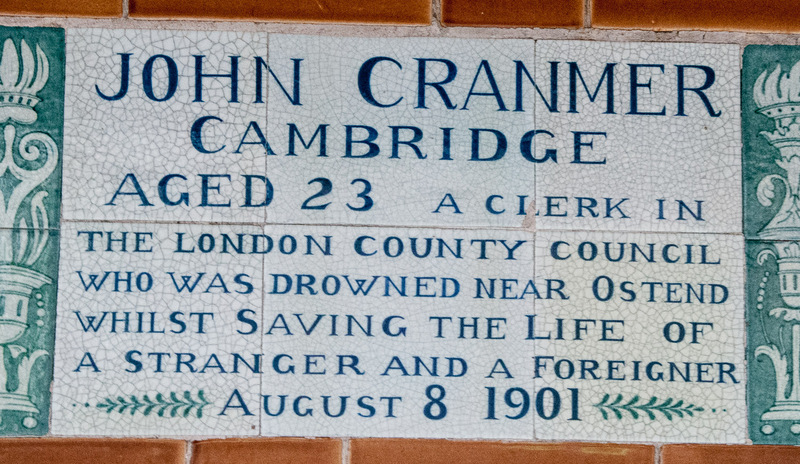 No disrespect intended to the brave John Cranmer Cambridge, but I did smile when I noticed that his act was apparently more noble since he saved not only a stranger but also a ‘foreigner’. 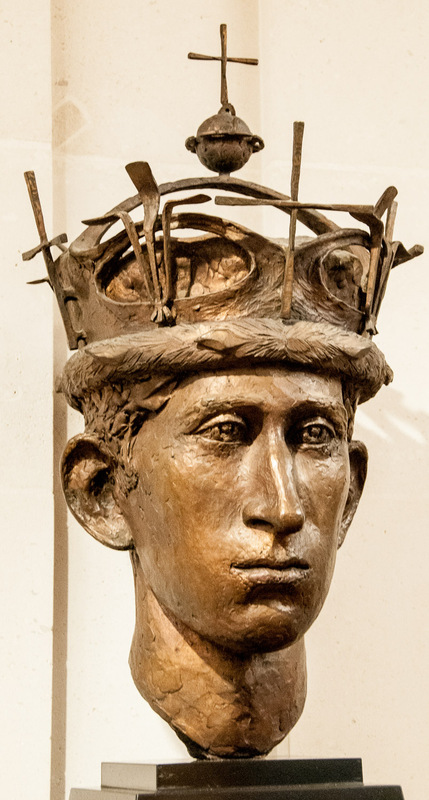 The plaques were the idea of the painter G.F. Watts and the wording on John Cambridge’s seems to reflect Watts’ firm belief in the superior character of the British. You can read more about Watts and the other heroes he sought to memorialise in John Price’s splendid book Heroes of Postman’s Park (ISBN 9780750956437). 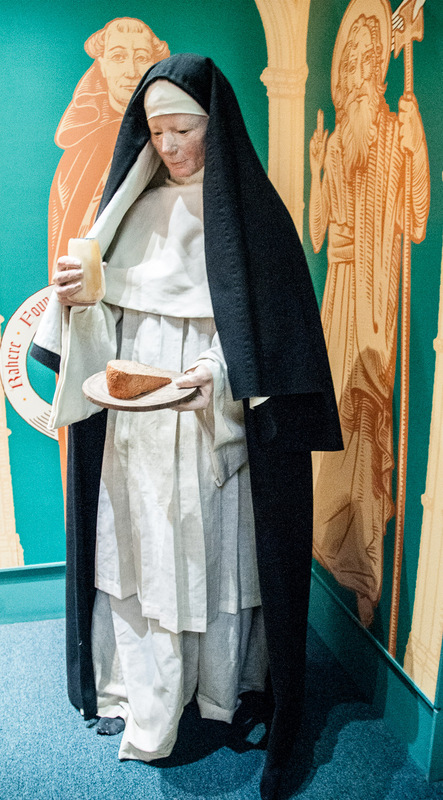 One of these days when I visit this museum I will accept the slice of bread and drink this rather serious nun is offering. In the meantime I just smile and say ‘no thanks’. 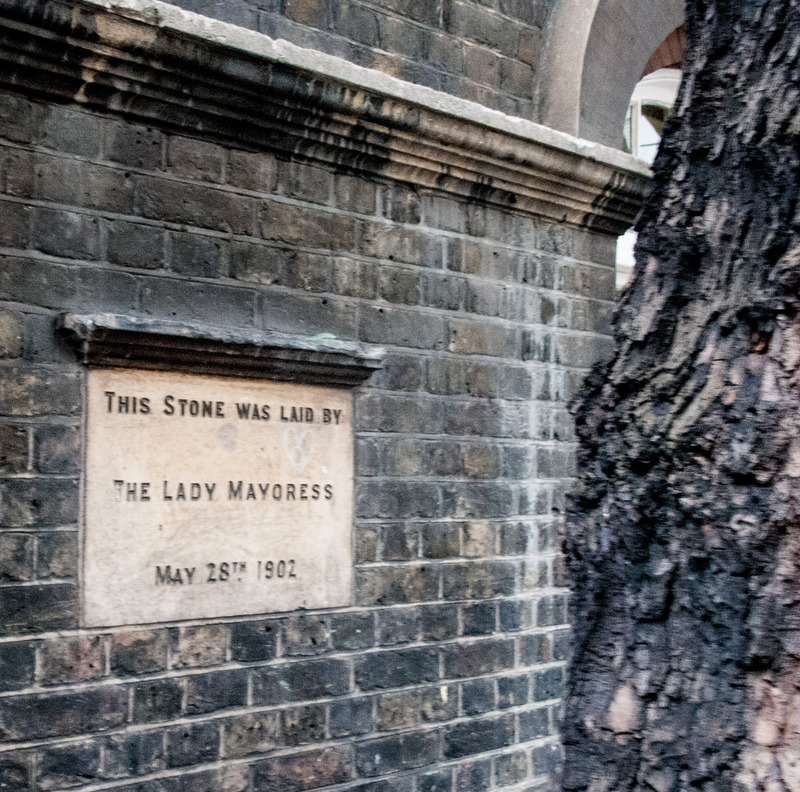 You will find her along with some absolutely fascinating artifacts in the St Bartholomew’s Hospital Museum including a document signed by Henry VIII only a month before he died. 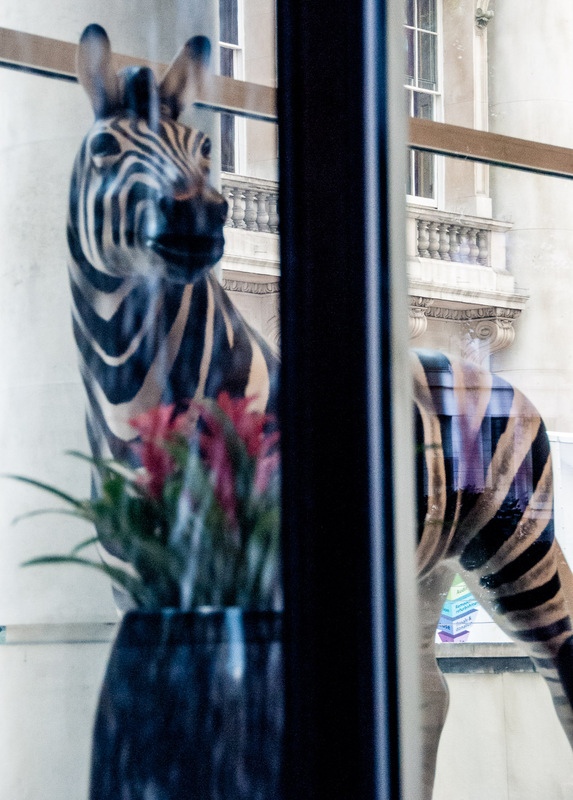 The zebra is part of the brand image of the Investec banking and asset management group whose offices are on Gresham Street. According to their Facebook page, they chose the zebra because it’s ‘a humble and modest creature, yet it surprises, delights and represents the distinctiveness that we strive for’. So now you know. 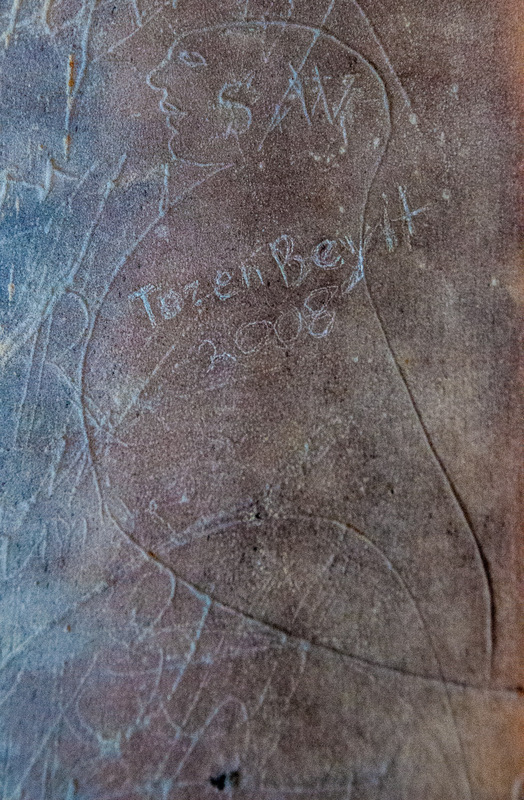 Men working on St Paul’s Cathedral in the 18th century left a plethora of graffiti around and near the west door. 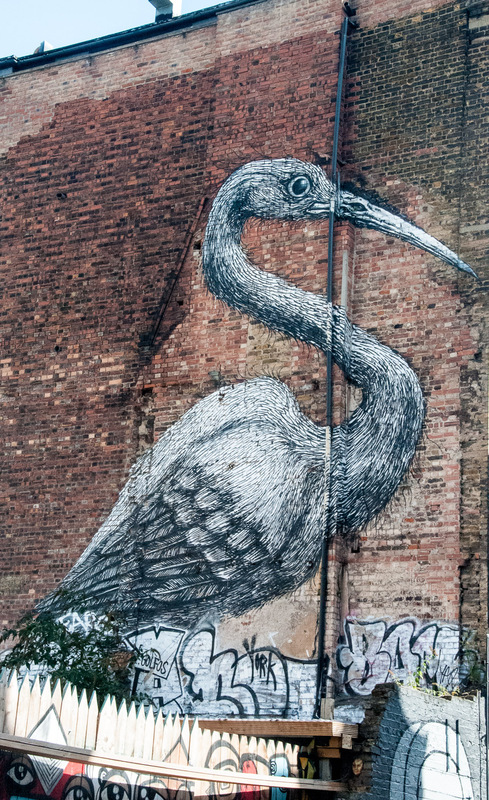 It includes this slightly pompous looking bald individual drawn to look like a pigeon puffing out its breast. Maybe he was a rather unpopular supervisor. Surely is should be St Martin’s? 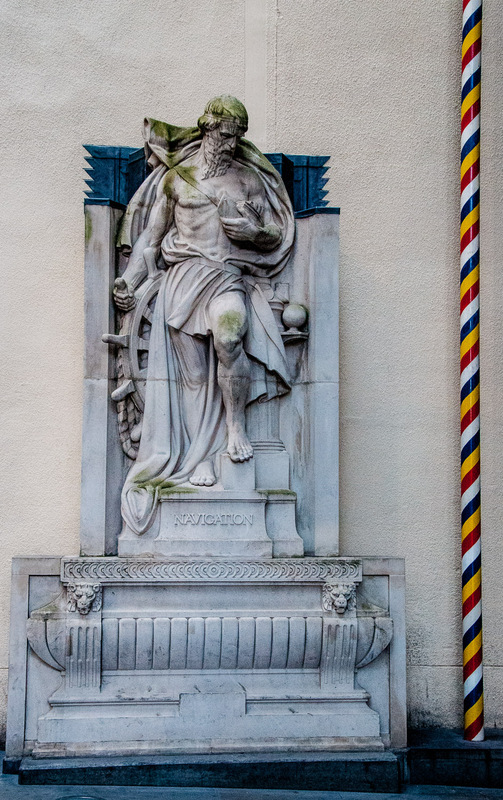 It references the maypole that once stood nearby outside St Andrew Undershaft (so called because the maypole alongside it was taller than the church). 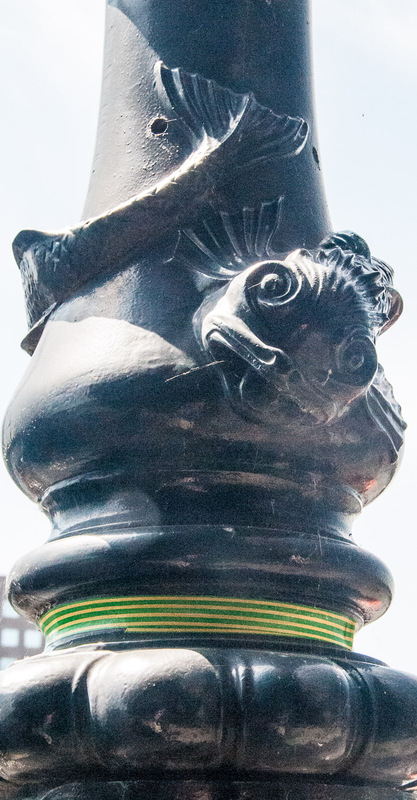 The pole was set up opposite the church every year until Mayday 1517 when the tradition was suspended after the City apprentices (always a volatile bunch) rioted against foreigners. Public gatherings on Mayday were therefore to be discouraged and the pole was hung up nearby in the appropriately named Shaft Alley. In 1549 the vicar of St Catharine Cree denounced the maypole as a pagan symbol and got his listeners so agitated they pulled the pole from its moorings, cut it up and burned it. 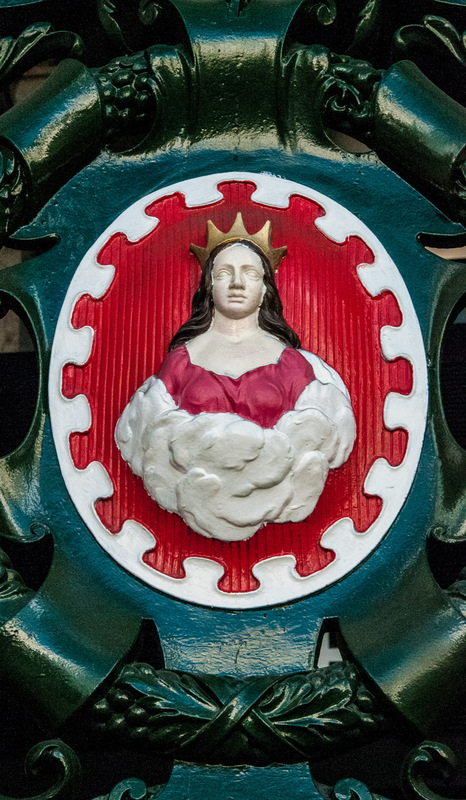 The Royal Exchange is built on land owned by the Mercer livery company whose ancient symbol is what’s known as a Mercer Maiden and she adorns many City buildings. 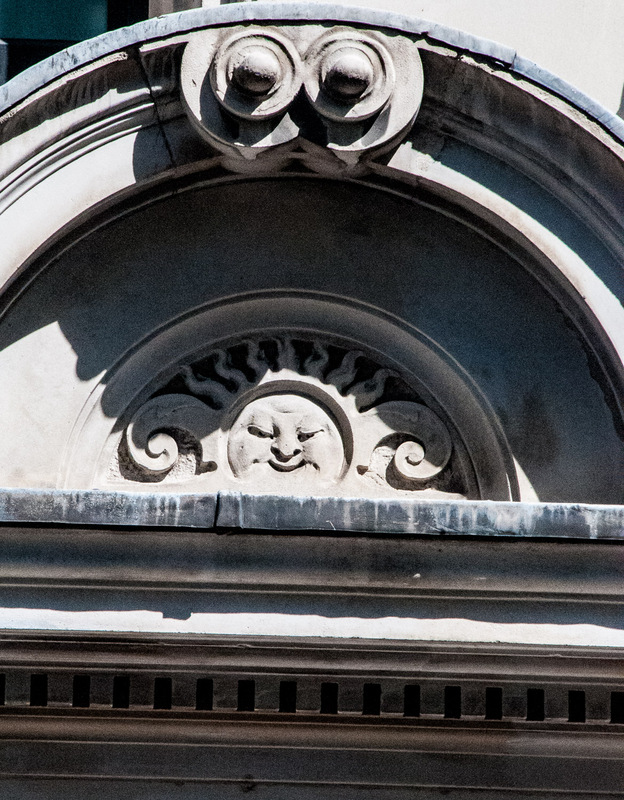 The emblem appears on one set of Royal Exchange gates and I don’t mean to be rude, but do you think the image’s face looks a bit like Michael Portillo? He just doesn’t look happy, does he? Maybe he wasn’t too keen on the rather spiky modern version of a coronet that he is wearing here at his 1969 Investiture as Prince of Wales. It was designed by a committee chaired by his auntie Princess Margaret’s husband, Antony Armstrong-Jones (later Lord Snowdon). The globe and cross at the top was originally intended to be solid gold but the committee concluded that this would be far too heavy. The solution was to use a gold plated ping-pong ball – which is why I always smile at this portrayal of the Prince (and possibly why he doesn’t appear to have ever worn the item again). City pigeons just don’t believe it.